I had so much fun sampling the artfully presented plates of Pabu Boston this week at their Instagram party! You may remember them from when I covered their grand opening party a while back. 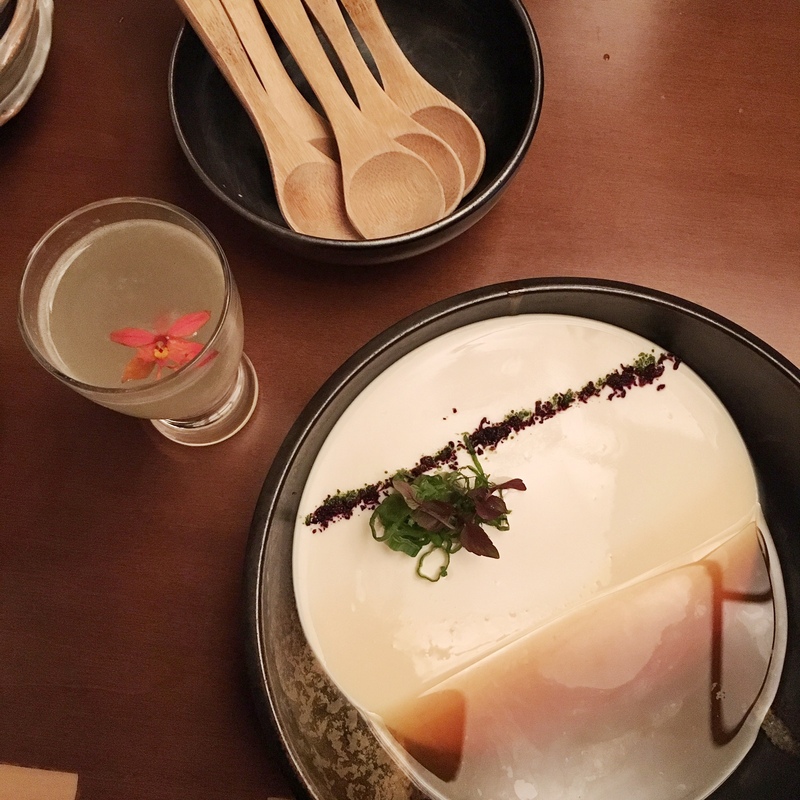 This time around, we tried everything from super fresh sashimi, to the floral Super X cocktail, happy spoons, tofu, foie gras, and cocktails served in Sam Adams cans. Don’t take my word for it – read on to see all the yummy bites for yourself! The happy spoons were a big hit, with meaty Duxbury oysters (my fave! ), uni, ikura, tobiko, and ponzu crème fraîche. 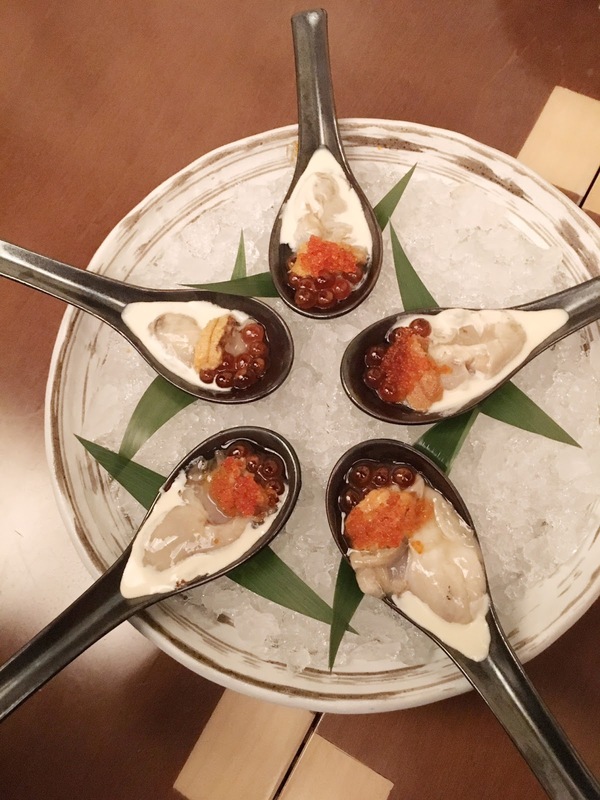 The melding of different textures makes these so fun for anyone who enjoys oysters! 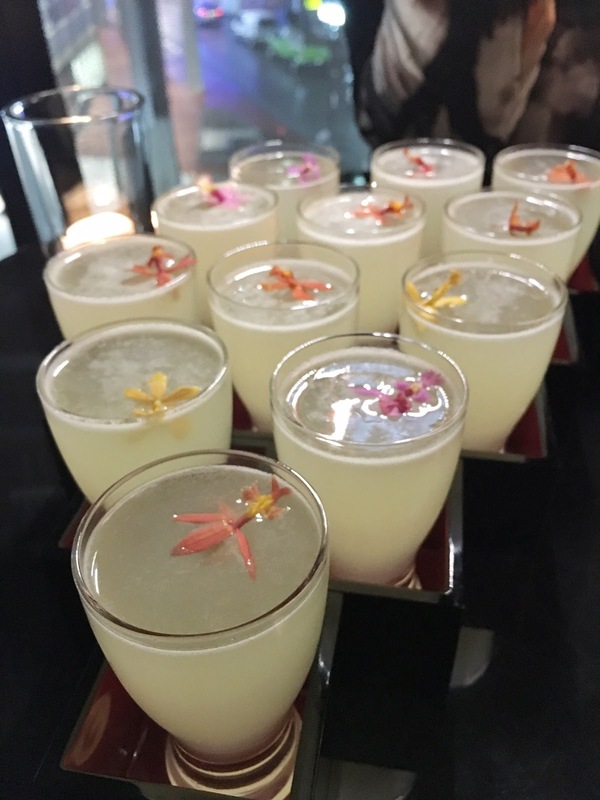 These mini Super X cocktails were fun and fruity, with Tito’s vodka, kina l’aero d’or, velvet falernum, yuzu, and lemon. 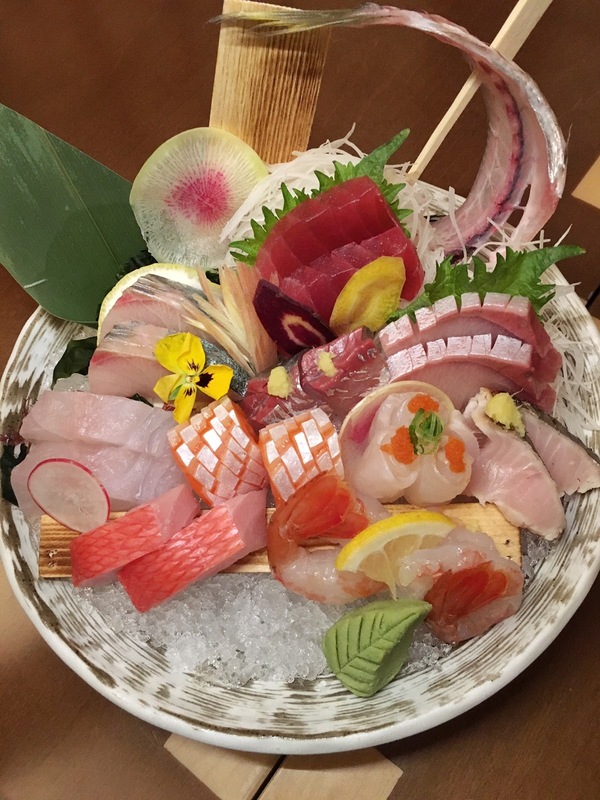 Pabu is a real foodie destination, and not just for sushi connoisseurs! Pictured above is their foie gras. How gorgeous is this tofu presentation? 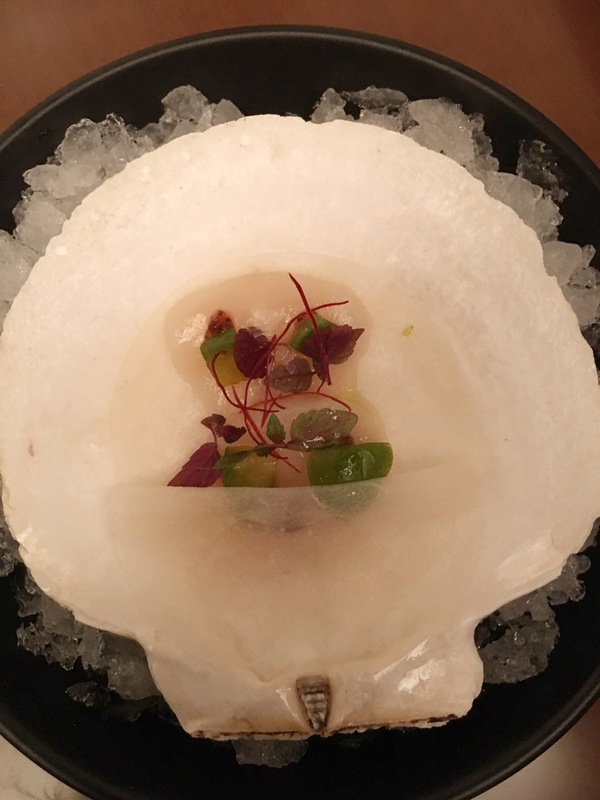 Local Maine scallop crudo on it’s shell. No dinner is complete without dessert. These Mochi Sundaes are the cutest and yummy to boot. 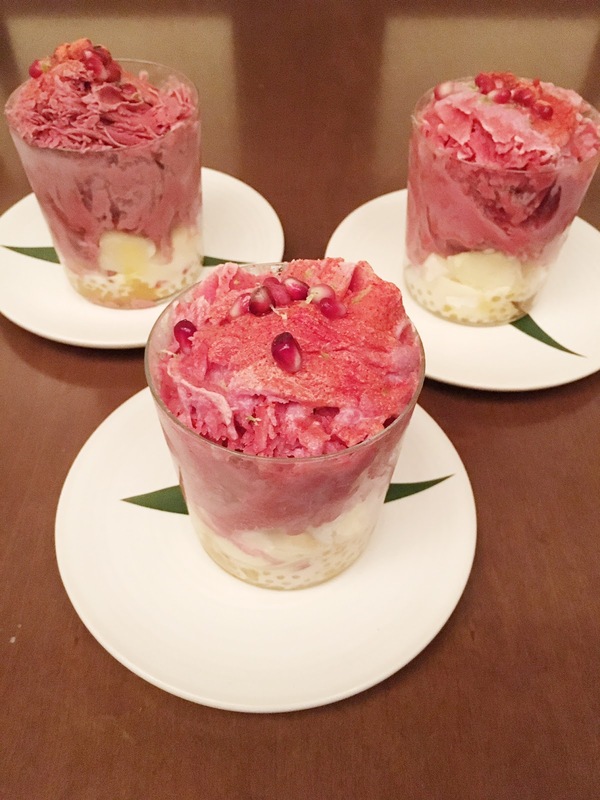 They contain pomegranate shaved ice, lemongrass, and passion fruit tapioca. I love the swanky ambiance at Pabu, and you can really tell that the chefs have fun with their menu and presentation which sets them apart from other venues. Definitely stop by for drinks + bites if you haven’t already, and check out my recent post on their grand opening party! Comment Challenge: I love pretty presentation in my dishes! What keeps you coming back to a restaurant?